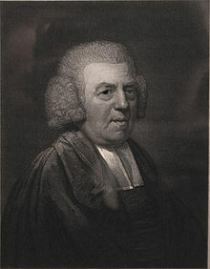 – John Newton (1725-1807), The Letters of John Newton – To William Cowper, Esq., p. 153. “I sometimes think that the prayers of believers afford a stronger proof of a depraved nature than even the profaneness of those who know not the Lord. How strange is it, that when I have the fullest convictions that prayer is not only my duty — not only necessary as the appointed means of receiving these supplies, without which I can do nothing, but likewise the greatest honor and privilege to which I can be admitted in the present life — I should still find myself so unwilling to engage in it. This is pretty applicable to our situation today, when Christians hop from church to church and flock to celebrity pastors. This is also applicable in the case where some Christians prefer to stay at home and listen to mp3 sermons rather than attending church. I have to admit that, for a short time when I was a younger Christian, I was an example of an “unsettled hearer” that Newton described. Therefore, I’d encourage younger Christians readers and seminarians to reread these words of Newton and follow his wise counsel. As for the rest, read that last paragraph again where Newton ties together God’s sovereignty and providence as they have to do with preaching and the means of grace.